We had to rewind it a couple of times, but I am pretty sure Mr Wonderfall calls Barbra a "b*tch" in the most recent episode from Friday. It is on the first pitch right after she makes the deal. Listen for it! Mr. Wonderful actually made a really reasonable offer for Felt. Glad that worked out, I like that app idea. Mark was so mean to the shock watch guy and Mr Wonderful was pretty upset. Wags' wedding gift was having Shark Tank start up on the same weekend. That beer tap was pretty interesting. I thought for sure it would be a gimmick but they all agreed it added to the beer. I find their smaller, newer version on Kickstarter. Only $100 (compared to $160+), but only goes up to a bottle - which would be fine for me. Please mail me a potato. Mark and Chris were going at it hard! Both were right in the point they were making but wouldn't admit the other was right in theirs. Thanks tylersucks. My potato pal is living at work and his eyes are growing like crazy. A lot or confused people stop at my desk and ask me about it. Tyler wrote: Source of the post Mark and Chris were going at it hard! Both were right in the point they were making but wouldn't admit the other was right in theirs. Who is getting the licki brush? I didn't know you could just mix wines together and make a new blend. Why not just go buy $6 bottles and do it yourself? Tyler wrote: I didn't know you could just mix wines together and make a new blend. Why not just go buy $6 bottles and do it yourself? Based on what Chris said, 87% of people who own an iPhone and can download an app will take an Uber to a mall vs driving there. Wut. Tyler wrote: Based on what Chris said, 87% of people who own an iPhone and can download an app will take an Uber to a mall vs driving there. Wut. They went all in with the Fargo jokes in this update segment. That was such a weird deal for the wedding dress toilet scrunchie. It was weird they were going to take 75% and force her to give 25% to her friend just because she defended her. Makes me think some stuff happened that we didnt see. 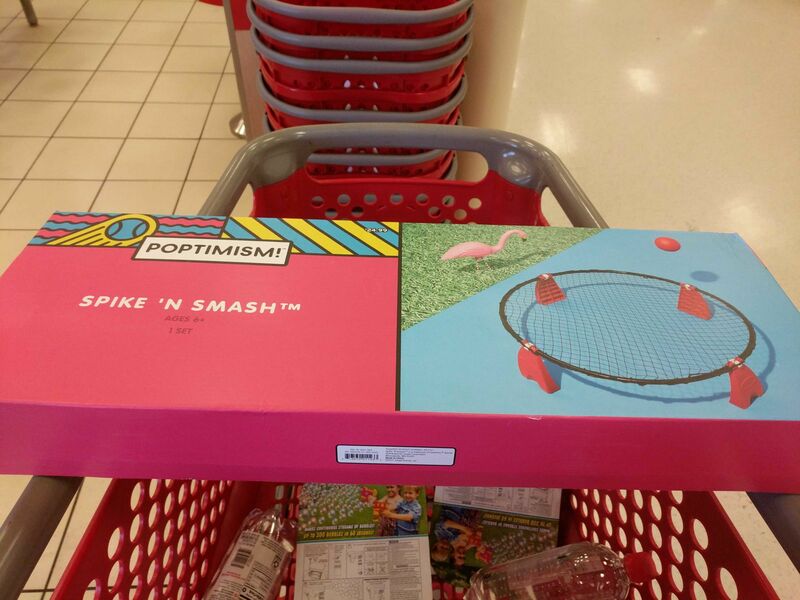 I bought the generic version of spike ball for our trip to the beach later this week. Season 9 started last night, I guess they aren't airing on Fridays now?